It's that time of the year again - the time for our End-of-Year fundraiser! You've always wanted to contribute to a Free and open source project, right? Maybe you wondered how you could do that. Besides, you know that this is a project worth backing, because we get things done. Since proof is in the pudding, let's take a quick look at what we did this year. We look forward to the new year with all its challenges and excitements, and we don't plan on slowing down. There will be new Plasma and KDE Applications releases, with a new Plasma LTS release (5.12) planned for the end of January. Season of KDE will bring a stream of fresh contributors. Konversation 2.0 will present a completely redesigned interface, and you can be sure it's not the only application that will positively surprise you in 2018. We will spend a lot of time and effort on our long-term goals, which include improving software usability, protecting your privacy, and making it easier to become a KDE contributor. And as always, we'll be on the lookout for more Free Software projects that we can bring under our wing and help the developers bring their ideas to fruition. But we cannot do all this without you. 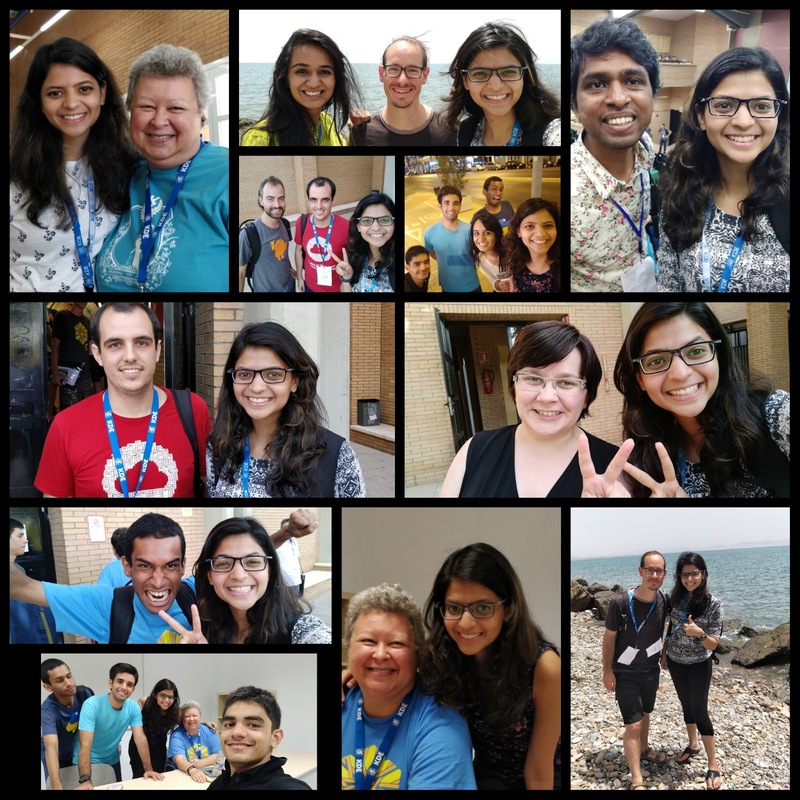 The community - that is, people just like you - is what drives KDE forward. 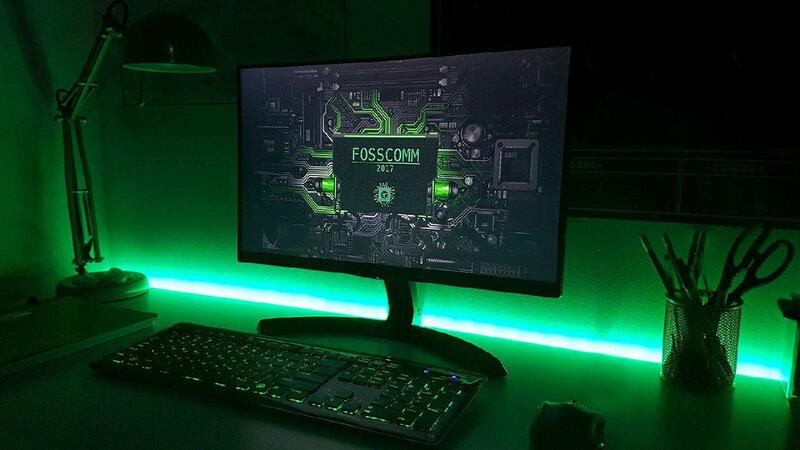 Your energy motivates us. Your feedback helps us improve. Your financial support allows us to organize community events and developer sprints, maintain our websites and infrastructure, and so much more. 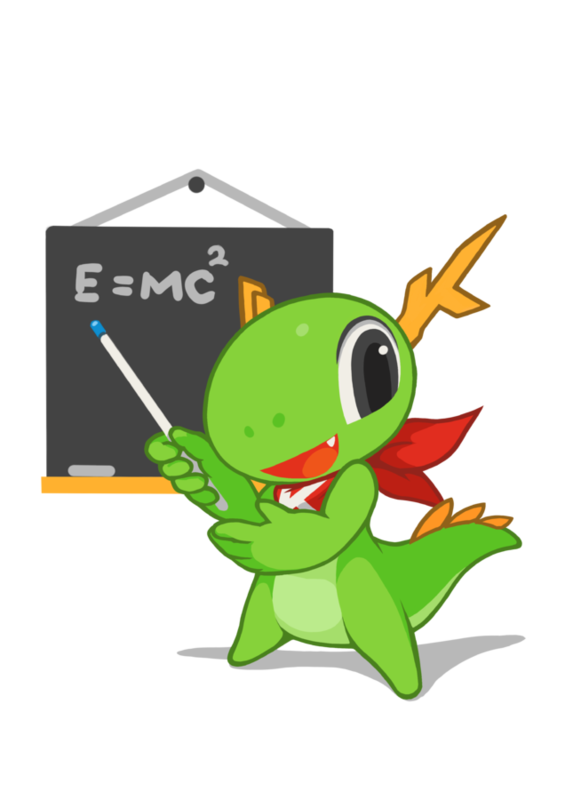 Help us build a bigger, better, more powerful KDE Community by donating to our End-of-Year fundraiser. We appreciate every contribution, no matter how modest. You can also support us and power up our fundraiser by posting about it on social media. Share the link, tell others about it, or write a post on your blog and share that. Tweet us a link to your blog post, and we will share it on our social media. Read more about KDE End-of-Year Fundraiser 2017 is Live! A software developer's life can get lonely. Developers spend a lot of time immersed in their code, and often don't get to see the direct impact of their work on the users. That is why events like Randa Meetings are necessary. They help build bonds within the community and show the developers that their work is appreciated. 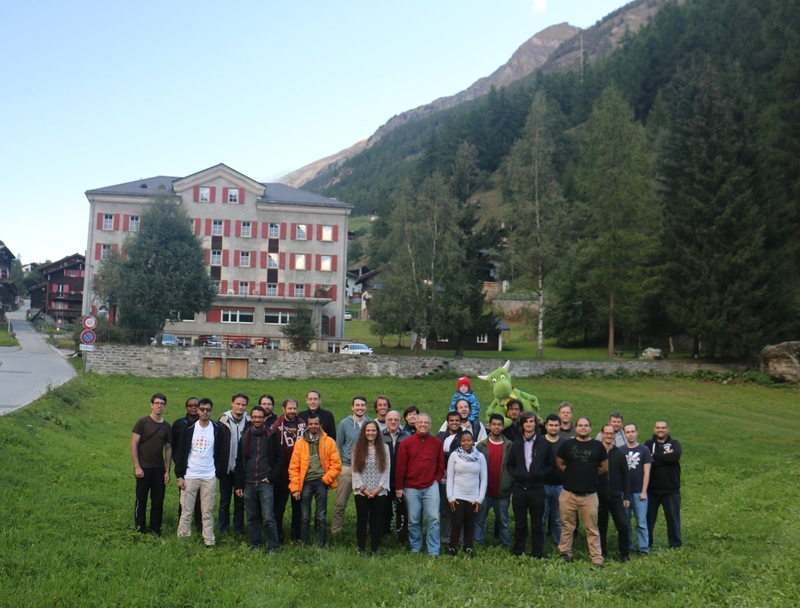 Randa Meetings are a yearly collection of KDE Community contributor sprints that take place in Randa, Switzerland. 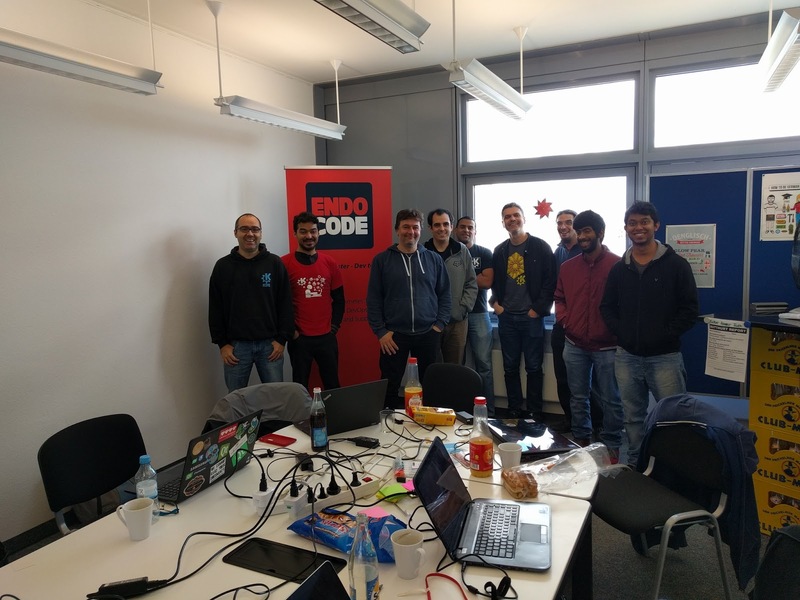 With origins dating back to a Plasma meeting in 2009, Randa is one of the most important developer-related events in the community. This year, Randa Meetings were held from September 10 to September 16, and were centered around a meaningful theme - accessibility. Accessibility is incredibly important, yet so often neglected in the process of software development, and implemented almost as an afterthought. Users with disabilities and impairments often find themselves excluded from using the software, and prevented from participating in activities that the rest of us take for granted. Essentially, the software makes them feel as if they don't matter. To remedy this, many governments enforce laws requiring software to be accessible. There are also accessibility standards, guidelines, and checklists to help developers make their software accessible to all. FOSS communities and projects have the potential to play a major role in driving software accessibility efforts because of their open nature. People with disabilities can communicate directly with developers, report issues, and request features that they need. Proprietary products are rarely this open to feedback, not to mention the fact they are often very expensive. Assistive technology covers a wide range of products and solutions: from screen magnifiers, screen readers, and text prediction methods to text-to-speech interfaces, speech recognition software, and simplified computer interfaces. There are also advanced solutions like 3D-printed prosthetic limbs, and those that allow controlling the mouse by moving the head or just the eyes. The best thing about all this technology is that it benefits everyone. Although people usually associate the word "accessibility" with hearing or visually impaired people, assistive technology can make life easier for many other groups: dyslexic or illiterate people, cognitively disabled people, the elderly, anyone with limited mobility or just bad eyesight. The analogy is clear with wheelchair-accessible spaces, which are useful to parents with baby strollers, people with bicycles and shopping carts, and delivery drivers. 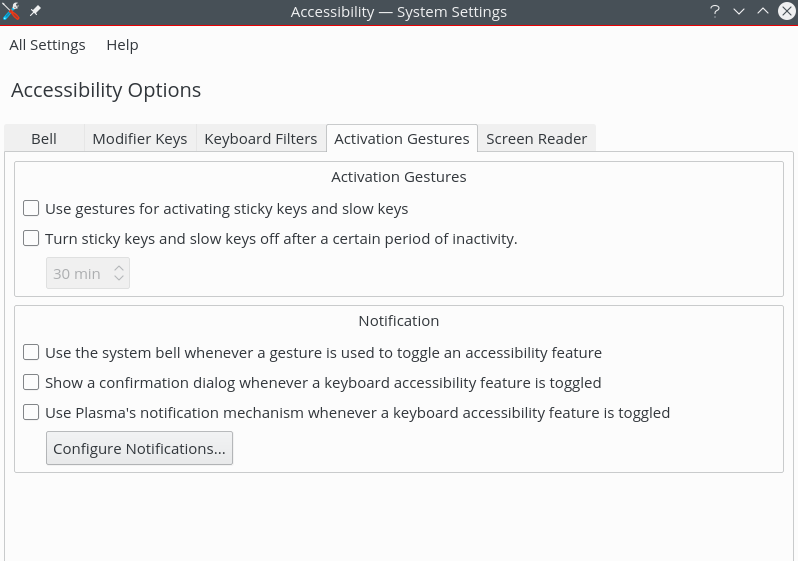 Likewise, improving keyboard navigation, image and color contrast, and text-to-speech tools results in satisfaction among non-disabled users. Making software accessible means making software better. Generally speaking, there are two ways to make software accessible: either by building special accessibility-focused tools from scratch, or by implementing accessibility features and improvements into existing applications. The latter is what the Randa Meetings 2017 were all about. digiKam with David Edmundson from Plasma in the background. The developers created a useful KWin plugin that can simulate different types of color blindness. This will help in all future accessibility efforts, as it helps developers understand what their color schemes will look like to visually impaired users. KMyMoney was made more accessible via improvements to keyboard navigation. New keyboard shortcuts were added, and others simplified to make them easier to use. Randa Meetings 2017 were made special by Manuel, a visitor from Italy who stayed at the Randa house during the sprint. Manuel is a deaf user, and he took the time to explain the problems that hearing-impaired users encounter with KDE software, and software in general. His feedback was extremely valuable in the context of the sprint's theme, and helped developers come up with accessibility-oriented solutions. KRunner was made completely accessible, and this change is visible in Plasma 5.11. The Orca Screen Reader works well with KRunner, and can read the entered query, as well as let the user know which element of the interface is currently focused. There was also a round of discussions on best practices for accessibility in KDE software. When testing software, the developers should try to use it only with their keyboard, and then only with the mouse. Too much customization is not a good idea, so it should be avoided, especially when it comes to colors, fonts, and focus handling. Another good practice is to test the application with a screen reader. This experience should highlight potential issues for disabled users. In the end, it all comes down to empathy - being able to put yourself in the user's shoes, and the willingness to make your software available to as many people as possible, without excluding anyone. Of course, the developers worked on so much more than just accessibility. 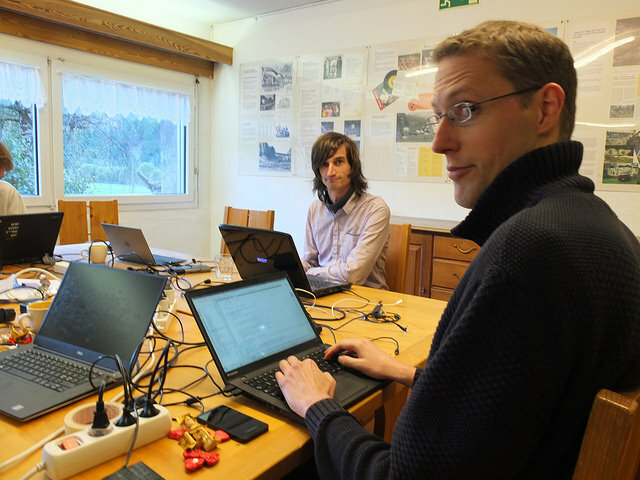 The KDE PIM team discussed the results of their KMail User Survey, and tackled the most pressing issue reported by the uses - broken and unreliable search. They also ported the entire Kontact codebase away from the obsolete KDateTime component. KMyMoney saw some important changes. All plugin KCM modules were ported to KF5. The backup feature is, well, back up and available to use, and database loading was improved so as to prevent the incompatibility between new and old KMyMoney files. After successfully participating in Google Summer of Code, the digiKam team gathered in Randa to further polish the new code contributed by students. They also worked on the media server functionality, which allows users to share their photo collections across different devices (smartphones, tablets, TVs...) using DLNA. (digiKam) and David Edmundson discussing Plasma Accessibility. Marble Maps now has a new splash screen, and the entire interface of the Bookmarks dialog is responsive to touch. There are plans to implement a better text-to-speech module for navigation. The Public Transport Plasma applet has been completely rewritten as a Kirigami application. The applet's UI is now much more flexible and easier to adapt to mobile devices. The developers of Kube worked on resolving an annoying issue with live queries which slows down email synchronization, especially when there are thousands of emails. They also discussed the possibility of implementing an HTML composer to edit emails in Kube, and made plans for GPG implementation. In collaboration with developers from other KDE projects, they explored the options for making Kube cross-platform, and looked for the best way to build Kube on macOS and Windows. Finally, they implemented a visualization in the configuration dialog which indicates when the user input is invalid in configuration fields. Last but not least, Kdenlive received color correction improvements, and the developers worked on bringing back the popular TypeWriter effect. They also fixed the import of image sequences, worked on porting Kdenlive to Windows and macOS, and removed the warning about missing DVD tools that used to appear when starting Kdenlive for the first time. With another successful Randa Meetings behind us, we can start planning for the next session. 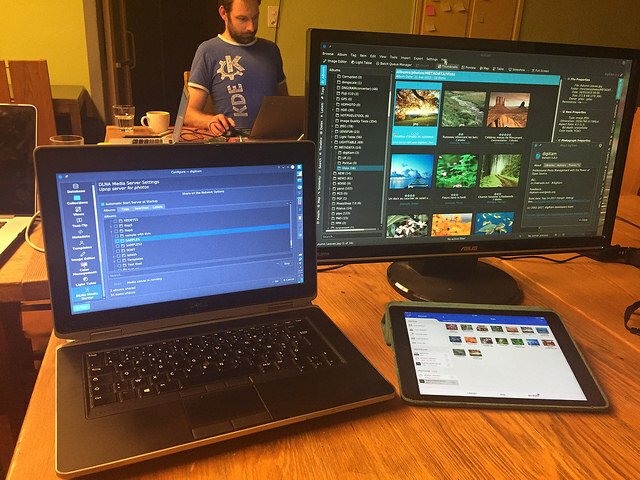 If you like the work our developers are doing, you can directly support it by donating to KDE. 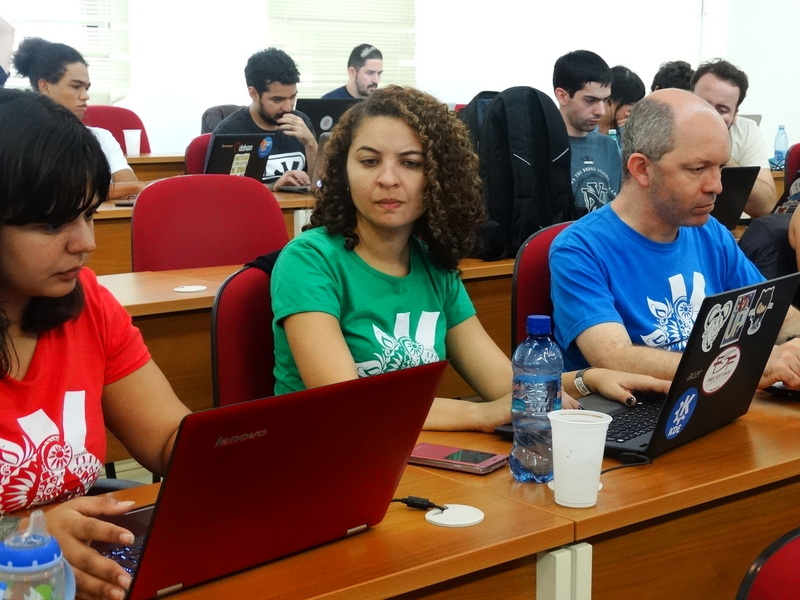 You can also contribute to KDE and make an impact on the users by joining our mentored project called Season of KDE. Who knows, maybe in the future you too will attend the Randa Meetings! Nate Graham proposes improving the usability of KDE's software and making it more accessible and user-friendly for a wider variety of users. 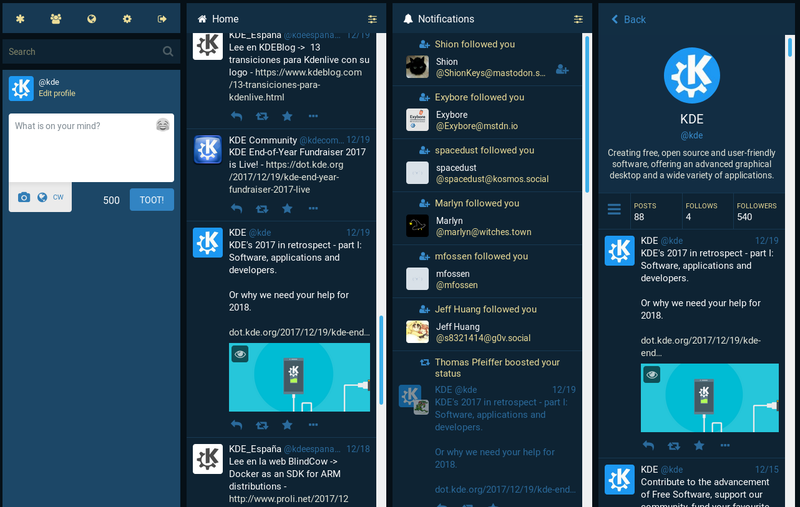 Nate argues that, although KDE apps and environments in general boast a "long list of features that are genuinely useful for normal people's typical use cases", small but noticeable inconsistencies and niggling usability issues sometimes mar KDE's semblance of maturity with casual users. 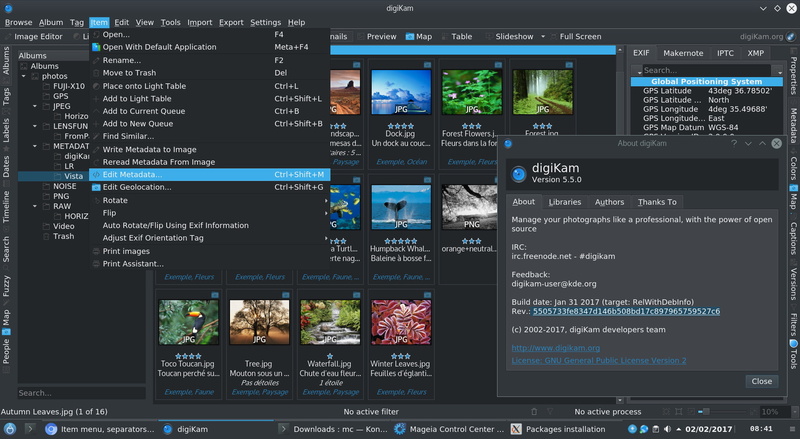 Nate reasons that focusing on irksome details of the most common and commonly used of KDE's software, such as Plasma, Dolphin, Okular and Discover, would be the first step towards polishing the whole. He mentions, for example, the annoying bug that makes Plasma require the Wifi password twice; or enhancements that can be made to Dolphin to support column view or colourised files and directories, like MacOS X's file browser sports; or improving Okular's stamp feature to make it suitable for digitally signing documents. 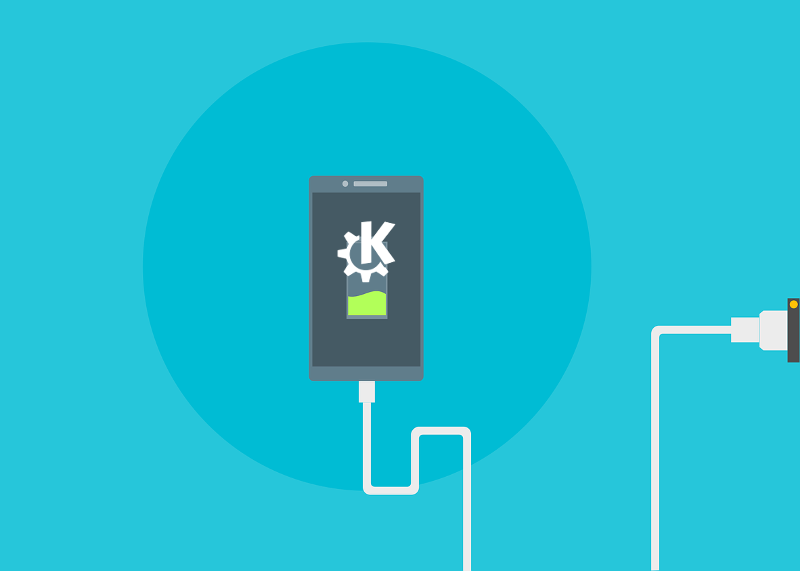 KDE's environments and applications are mature and usable to a great extent, but by getting small incremental improvements, we can nearly subliminally improve the overall feel of the project and increase its uptake with the general public. 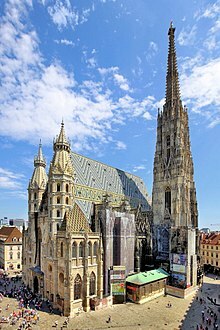 In synch with KDE's vision, Sebastian Kugler says that "KDE is in a unique position to offer users a complete software environment that helps them to protect their privacy". 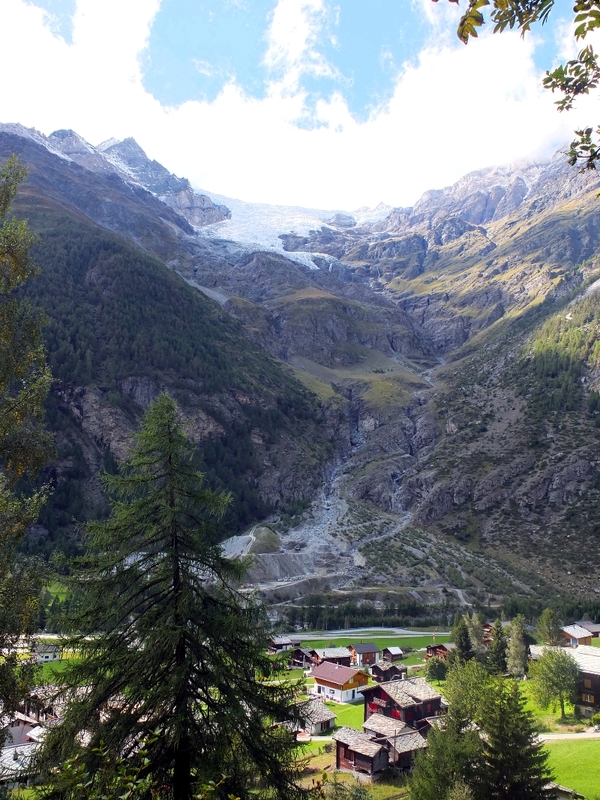 Being in that position, Sebastian explains, KDE as a FLOSS community is morally obliged to do its utmost to provide the most privacy-protecting environment for users. This is especially true since KDE has been developing not only for desktop devices, but also for mobile - an area where the respect for users' privacy is nearly non-existent. Sebastian thinks that the intrusion on users’ personal lives is very dangerous. Users can have their livelihood and even personal safety put at risk when their confidential data makes its way into the hands of unscrupulous companies or hostile government agencies. To make sure KDE environment and apps protect users’ privacy, Sebastian lists several measures that developers can implement. He proposes that applications not expose private data by default, asking the user for explicit consent before sending data to third parties. Other measures would involve apps using privacy-protecting protocols when communicating with the outside world; say, a widget should use Tor to collect weather information. Applications should also only require the bare minimum user information to operate and only when it is essential. Finally, the proposal explains that KDE must provide the right tools to further safeguard users' privacy. These tools include email clients that offer easy ways of encrypting messages, privacy-protecting chat and instant messaging protocols and clients, and support for online services that can be implemented on personal servers. is crucial for the survival of KDE. 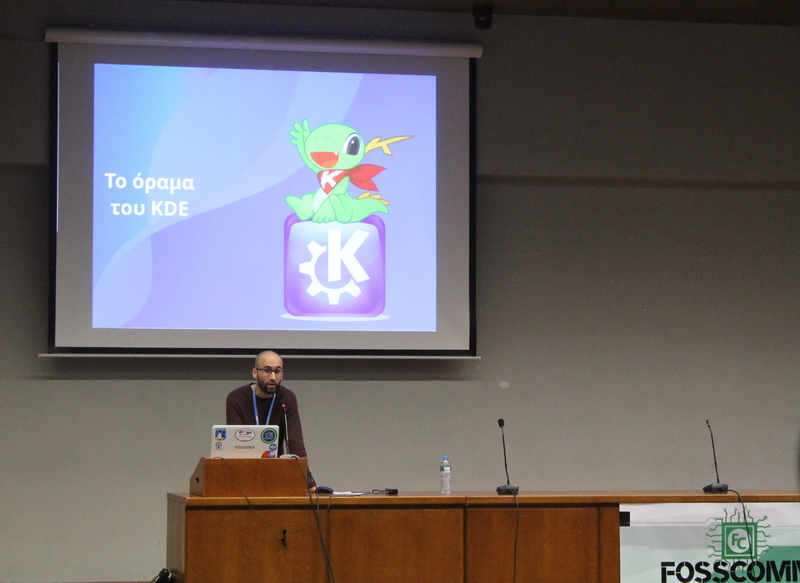 Although we have made many improvements to KDE's development infrastructure and tools over the years, there are still several things we can do to streamline the access for contributors, says Neofytos Kolokotronis. Thinking of ways to get more people involved in the development, Neofytos proposes measures to simplify newcomer participation within KDE. 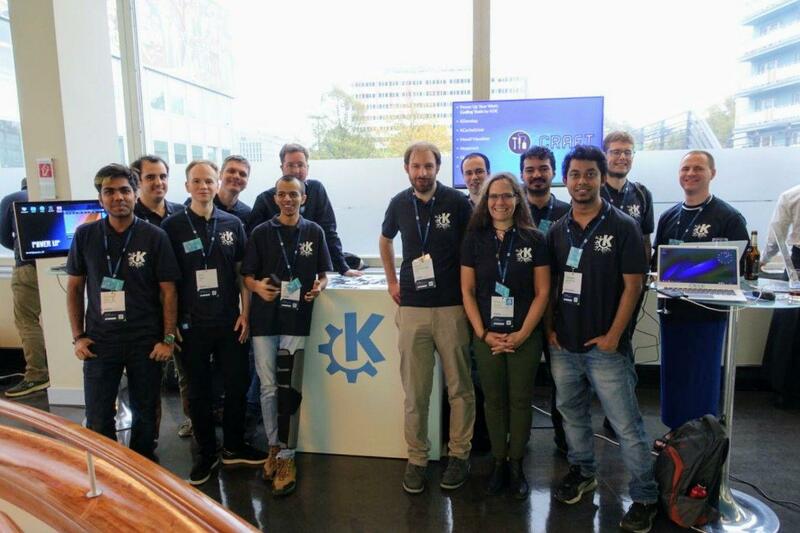 KDE is a living community and, as such, it is threatened if new users do not become contributors and therefore do not join its ranks, bringing in new blood and fresh ideas. To solve this potential problem, Neofytos wants the community to look at methods of incrementing user involvement. This will require analysing the available resources, especially the people and time that they can invest in this effort. He also proposes KDE improve and standardise protocols for accepting and mentoring new users, as well as correcting issues with documentation and tools used to receive new contributions, such as KDE's bug tracking system. 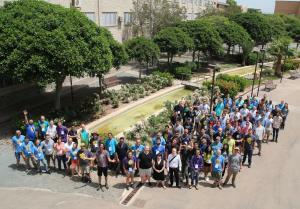 The KDE community will start implementing the proposals into concrete actions and policies. 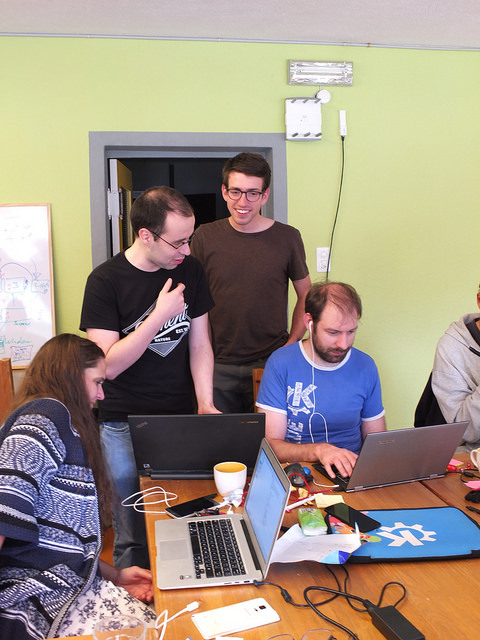 The proposals will shape how the KDE community creates software and works with its members, as well as with outside users. In view of the winning ideas, we can expect a more polished KDE experience, enhanced privacy protection and a more accessible and welcoming community for years to come. 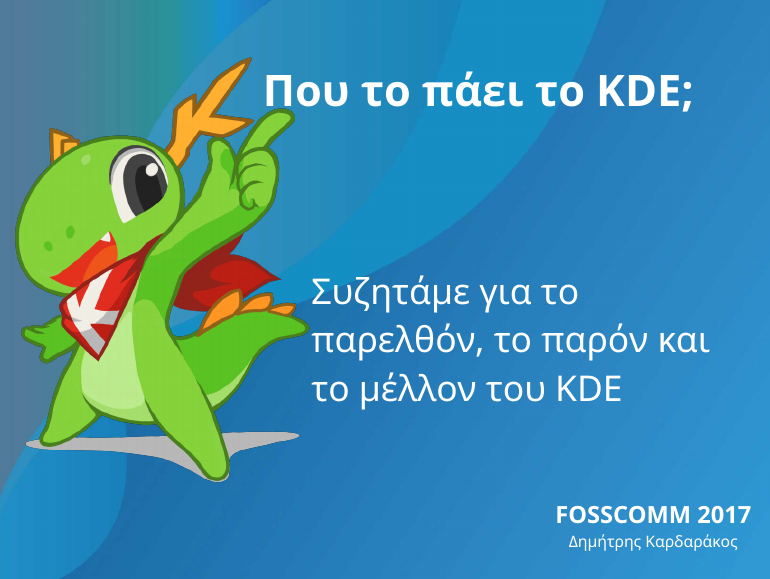 To make sure all KDE's goals are met, we need your support. Head over to the End of Year fundraiser (coming soon!) and help us meet our yearly funding target. 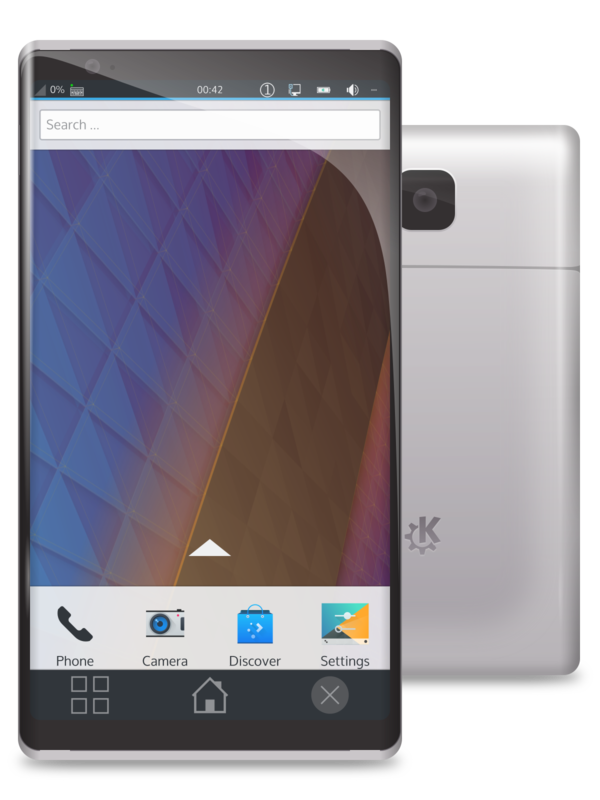 You can contribute to the success of KDE and we will also show appreciation with karma and gifts! 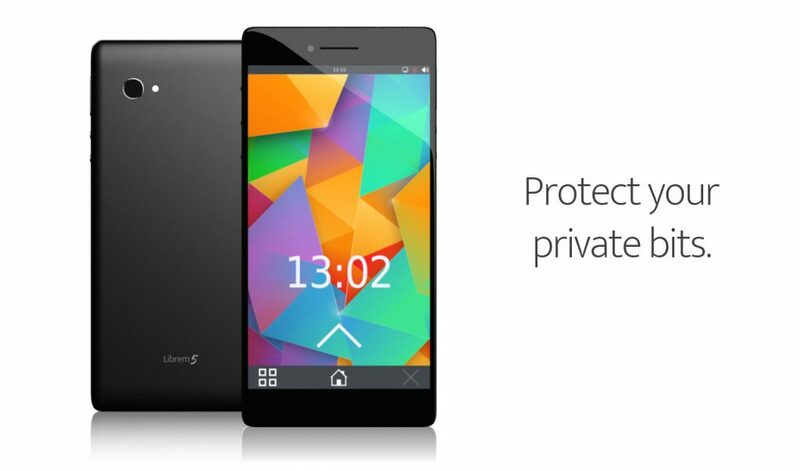 Private Internet Access is joining KDE as a Patron and pledges to support the work of KDE e.V. through the corporate membership program. 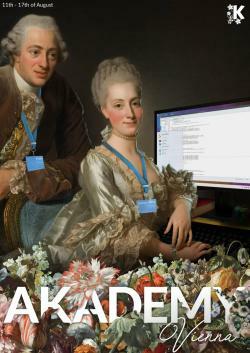 "We are very happy to have the Private Internet Access/London Trust Media as a KDE Patron and KDE e.V. Advisory Board member. The values of Internet openness are deeply rooted in both organisations, as well as those of privacy and security. Working together will allow us to build better systems and a better Internet for everyone", said Aleix Pol Gonzalez, Vice-President of the KDE e.V. "Private Internet Access is highly committed to giving back to those communities that have helped the brand and its parent company get to where it is today, and we are very much aware that vast proportions of the infrastructure we use on a daily basis, in the office and at home, is powered by Free and Open Source Software. We have made a pledge to show our gratitude by supporting FOSS projects to help encourage development and growth. 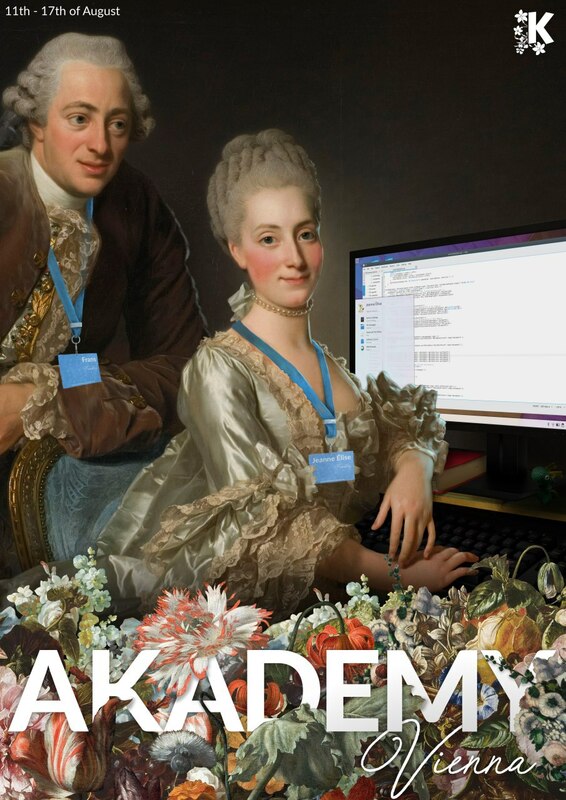 We are proud to be supporting KDE and the crucial work that the project does for the Linux Desktop" said Christel Dahlskjear, Director of Sponsorships and Events at Private Internet Access. Private Internet Access provides VPN services specializing in secure, encrypted VPN tunnels. Those tunnels create several layers of privacy and security for a more effective safety for users on the Internet. Private Internet Access's VPN Service is backed by multiple gateways worldwide, with VPN Tunnel access in 25+ countries and 37+ regions. Private Internet Access will join KDE's other Patrons: The Qt Company, SUSE, Google, Blue Systems and Canonical to continue supporting Free Software and KDE development through the KDE e.V.